The Community Music Center has a historic, ninety-four-year-old mission to make music accessible to everyone. At its home in San Francisco’s Mission District, as well as its Richmond District branch, the Center offers a comprehensive slate of music lessons in thirty instruments, including voice, and advanced training in theory and musicianship to more than 2,400 diverse students of all ages, together with public performances for more than 19,000 people. Nearly 70 percent of the students receive financial aid. 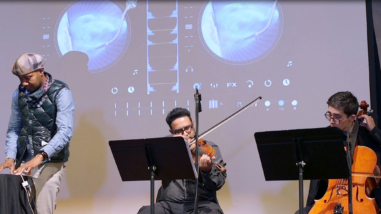 Undertaking an ambitious capital campaign to create a three-building campus in San Francisco, the organization is poised to increase its ability to make music even more accessible to the communities it serves. The Community Music Center is a nearly 100-year-old organization that provides access to musical instruction to learners of all ages. The Center, located in San Francisco’s Mission District, offers lessons in more than 30 instruments, voice, and advanced training in theory and musicianship to 2,000 students, more than 80 percent of whom receive financial aid. Through this slate of programs and public performances, the organization reaches more than 15,000 people annually. 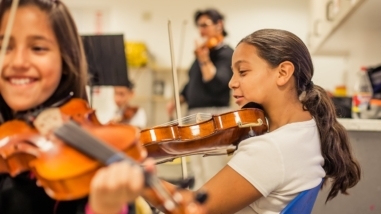 A grant to Community Music Center will support organizational development and strategic growth, with an increased focus on long-term sustainability.